Wrist pain sometimes does not respond to conservative treatment. There are many potential causes. Arthritis, ligament injury, nerve injuries, and even Avascular Necrosis (AVN). Regenerative therapies such as Platelet Rich Plasma (PRP) and Stem Cell Therapy may be considered in these cases. 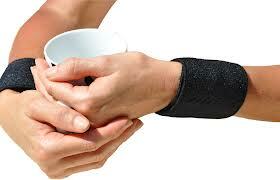 Degenerative or osteoarthritis may occur in the wrist and entire hand. Isolated or predominate arthritis of the wrist does occur. This can be easily identified with examination and x-rays. Ligaments connect two bones together. When injured, instability may occur in the bones. Nerve entrapments such as carpal tunnel syndrome, is a common condition in the wrist. Avascular Necrosis (AVN) may occur in any bone, however it is commonly seen in the scaphoid or lunate. Avascular Necrosis (AVN) occurs when the blood supply to the bone is disrupted. This results in avascularity and necrosis or dying of the affected region of bone. The resultant region of AVN is more susceptible to arthritis degeneration. Treatments directed to halt or deter arthritis progression, offer desirable alternative strategies to surgery. Both trauma and surgery increase statistical frequencies of arthritis. Multiple surgeries accelerate this. 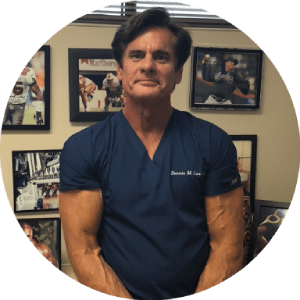 Regenerative therapies such as Platelet Rich Plasma (PRP) and Stem Cell Therapy offer inherent appeal to this line of thinking. The future of medicine may combine preventative and regenerative medicine. Whereby, early screening of individuals prone to degenerative changes, and the early implementation of regenerative procedures is done more routinely. Treating wrist pain that fails to heal with Platelet Rich Plasma (PRP) and Stem Cell Therapy, may be a viable alternative treatment strategy.